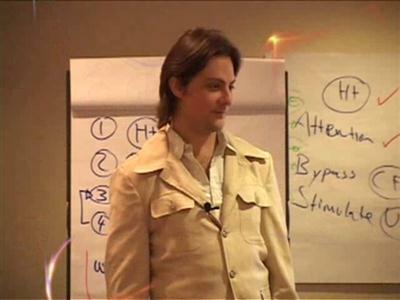 Igor Ledochowski: Conversational Hypnosis Professional Hypnotherapy Program DVDs PDF | Free eBooks Download - EBOOKEE! This is Master Hypnotist Igor LedochowskiÐ²Ð‚â„¢s ground breaking beginner-advanced Conversational Hypnosis for Hypnotherapy training. Doctors, psychiatrists and psychologists are just a few of the hundreds that have attended the live programme and raved about it. This is your chance to attend the programme from the comfort of your own home. This 17 DVD set (consisting of almost 30 hours of seminar time!) was shot during a live Conversational Hypnosis Professional Hypnotherapy seminar using high quality film and a then prepared for DVD in a professional editing studio. If you want to see Master Hypnotist Igor Ledochowski at work, if you want the ability to rewind him mid-action so you can spot the subtle tricks that he uses, then thereÐ²Ð‚â„¢s no better video footage available anywhere. No comments for "Igor Ledochowski: Conversational Hypnosis Professional Hypnotherapy Program DVDs PDF".